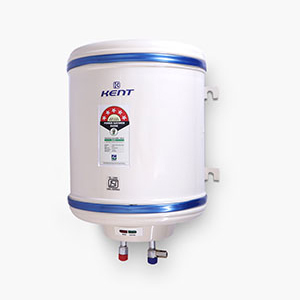 Its time you switched to a smarter solution to the problem of hot water supply in the house during winters. 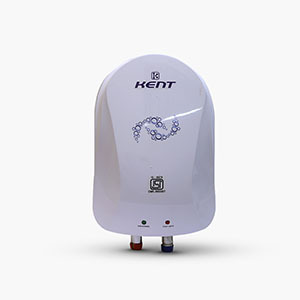 Make your life easier and relaxing with our wide range of Kent geyser. They are absolutely safe, equipped with numerous safety features and takes care of the quality of water you get, a feature unlike many other geysers in the market place. It has been fitted with pre-set heat cut off feature to avoid over-heating and excess power consumption. They are also energy efficient hence given a 5 star BEE rating. 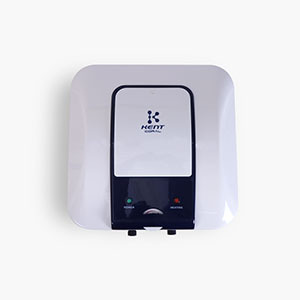 Stay assured to get reliable quality as Kent gives you a 2 years manufacturing warranty.